Carl Hansen & Son is relaunching a 1965 Hans J. Wegner sofa design that combines clean lines and soft shapes in an elegant, stylish silhouette. 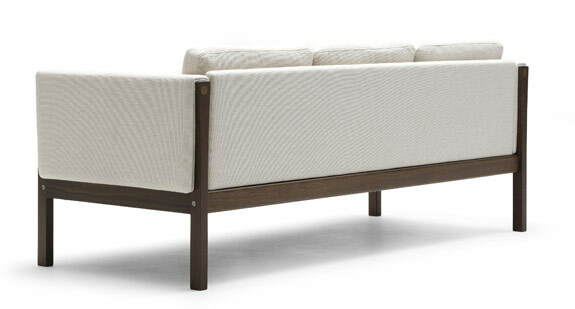 As a typical feature of Wegner’s designs, the sofa transforms functionally necessary elements into unique details. Delving into Hans J. Wegner’s vast archives, Carl Hansen & Son found a sofa design Wegner created in 1965. The sofa’s simple design features vertical and horizontal lines that are softened by cushions, which work with the frame’s angling to ensure a comfortable sitting posture. Carl Hansen & Son is relaunching the sofa in a new series that comprises two-seat and three-seat versions titled CH162 and CH163. “The sofa range was originally known as the ‘Down Cushion Sets’, because cushions filled with feathers were an innovation at the time. Wegner chose feather cushions to create a soft and inviting look – a style that broke with the standard practice of using cushions of fixed upholstery. Another example of Wegner’s unconventional approach to furniture design that makes him unique. We are proud to manufacture his furniture and bring his ever-relevant treasure trove of designs out into the light for everyone to see and enjoy,” says Knud Erik Hansen, CEO of Carl Hansen & Son. 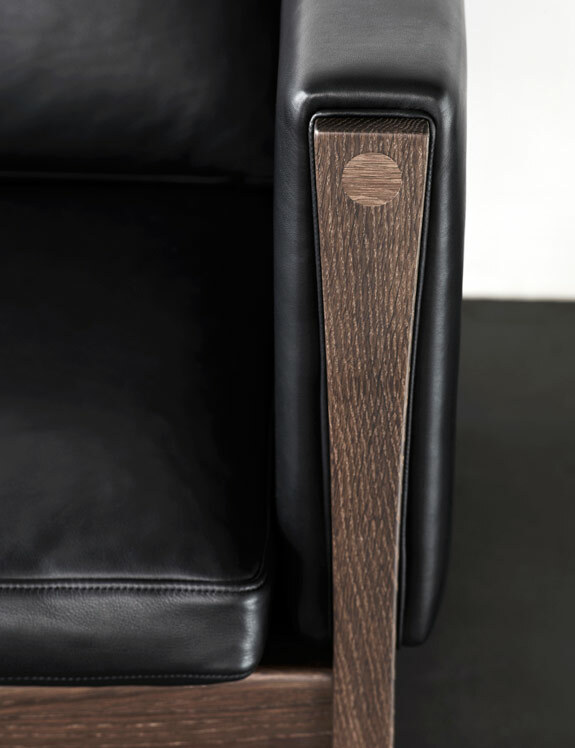 The range will be available in oak, walnut and ash with a variety of finishes, and the textile options will include many colours and fabric styles. The sofa series will be in shops from September 2012. Hans J. Wegner is widely considered to be one of the leading figures in 20th century furniture design – and a driving force in the “Danish Modern” movement that changed the way people looked at furniture in the 1950s and 1960s. Read more here.